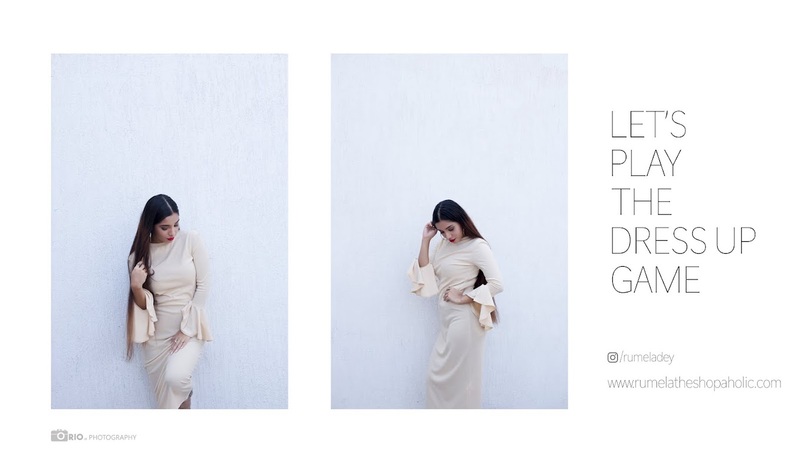 Rumela the shopaholic...: Spring lookbook: Outfit for daughter's graduation ceremony. Spring lookbook: Outfit for daughter's graduation ceremony. Hi all so I hope you all had a great weekend and hopefully will have an awesome week ahead. I had an amazing and productive week over all. So my elder daughter is a first grader now, so she had her kindergarten graduation on Thursday which all of us attended. It was a good little celebration encouraging the little kids for their great performance in the first year of school. I was so proud of her and could not stop smiling on seeing her on stage performing and receiving her certificate. Michael Kors, paired it up with this snake print belt by Tommy Hilfiger and went with beige color purse and wedge. Wow you looked amazing for this event. Congrats on your daughter graduading from kindergarden. looking awesome! and how cute is you daughter?! Congrats to your little girl...she's becoming a little fashionista like her mama! You look amazing in this blue dress! elegant and chic! You look stunning! A great day for you! Thanks for stopping by my blog! You both look so nice. I'm sure you were beaming from pride. You look really stunning, the color gives you a good vibe! :) Beautiful. So cool,i love your hair! You and your daughter both looked incredibly beautiful! Congrats to your little lady! You look pretty on blue dress. The whole outfit is fabulous! Your daughter is adorable. You hait is gorgeous! You look fantastic! That color is amazing. Your little girl is adorable! Your daughter is so cute! Congrats on her grad and fab outfit! Love the bright color on you! Great outfit! You both look so cool~~ mom and daughter. Color matches too!! Awesome. WOW this dress, it's marvelous! The color is popping and it is really accentuating your figure perfectly! wonderful blue dress! I can imagine how proud you felt...your daughter is so cute!